James Olson, PEng, is dean of the Faculty of Applied Science and a professor of mechanical engineering at the University of British Columbia. 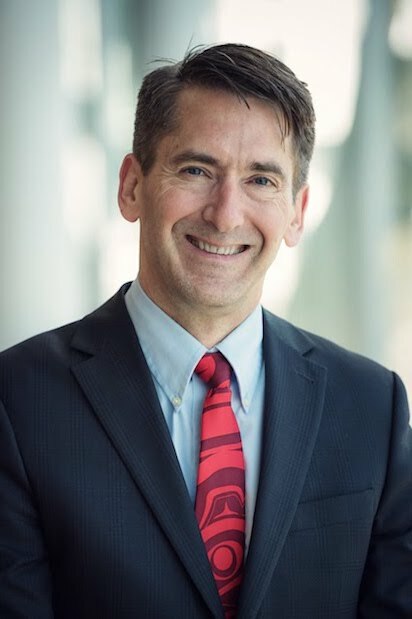 A former director of the Pulp and Paper Centre and interim director of the Institute for Computing, Information and Cognitive Systems at UBC, Olson was associate dean of research and industry partnerships at the Faculty of Applied Science from 2014 until his appointment as interim dean in June 2017. He began his five-year term as dean on March 1, 2018. Olson has played an instrumental role in the recent expansion of UBC’s engineering program, including the formation of the new School of Biomedical Engineering and the growth of various diversity, outreach, research and study programs. He has also created and led two research consortiums involving multiple companies and universities, which are working not only to develop innovative technologies and high-value energy products, but also to train highly qualified personnel and strengthen partnerships with industry, government and other academic institutions. Prior to joining UBC as an assistant professor in 1999, Olson was a research engineer at the Pulp and Paper Research Institute of Canada. During this time Olson developed the Fibre Quality Analyzer, an instrument that quickly and accurately measures key properties of wood pulp, including fibre length, coarseness and shape. Now an industry standard, it has generated sales exceeding $20 million and created numerous jobs in Canada. A Fellow of the Canadian Academy of Engineers, Dean Olson has received two NSERC Synergy Awards, two NSERC Discovery Accelerator Supplements, an APEGBC Meritorious Achievement Award, the BC Lieutenant Governor’s Innovation Award and nine best paper awards. He has supervised dozens of graduate and undergraduate students and has co-authored nearly 100 refereed journal articles. Olson holds a BASc in engineering physics and a PhD in chemical engineering from UBC.